Lock in a great price for Hotel Hermes - rated 8.8 by recent guests. Nice staff, very clean room and the breakfast was good. Everything was very good. Staff very good and helpful. Nice and clean room and bathroom, good breakfasts, nice staff, close to the historic city center. Nice, clean room and bathroom. Good airconditioning, friendly staff and excellent breakfast. The rooms are bigger than the average and we had balcony. The bed is very comfortable and everything is very clean. The breakfast is very good and you have various things to choose from. Clean spacious room. Close to the fortress (10-15 min walk). very nice staff, always smiling and trying to help. Everything. the room, the place, the staff, the cleaning. 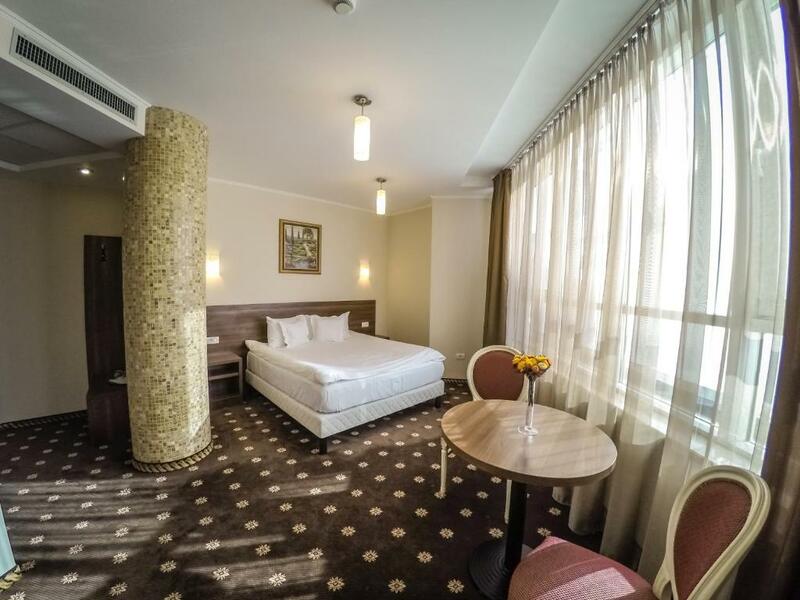 Located in the Cetate district of Alba Iulia, Hotel Hermes offers spacious rooms just 10 minutes’ walk from the fortified Alba Carolina centre. It features a restaurant and games room. All en suite rooms have red carpeting, providing them with a warm ambiance. 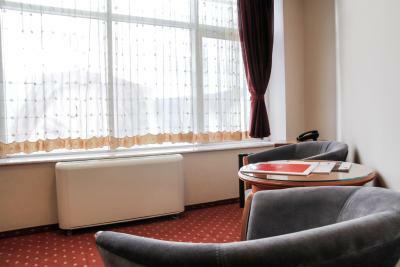 Each unit is equipped with heating, cable TV, free Wi-Fi and a minibar. 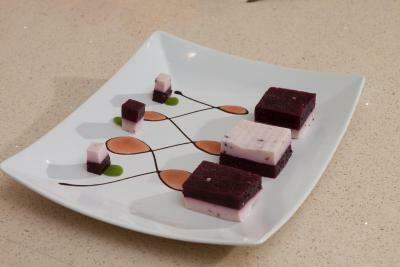 Each morning, a breakfast made of local ingredients is served at the hotel’s restaurant. 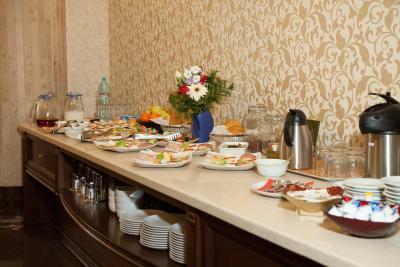 In the evening, it offers a variety of Transylvanian and international meals, as well as beverages from its bar. Guests can play billiards in Hotel Hermes’s games room. The reception desk is available 24/7 for room service or for organising transport to nearby sites of interest. 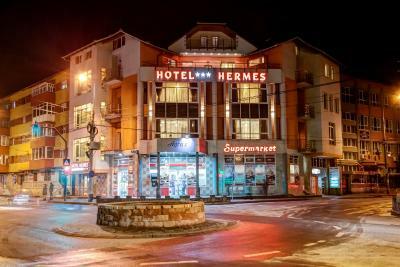 Hermes Hotel is located at the roundabout between the Military College and the Stadium. Free parking is available on site. Hotel Hermes has been welcoming Booking.com guests since 9 Dec 2010. 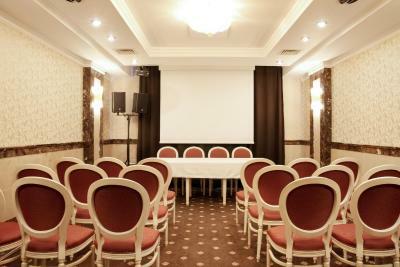 This room features air conditioning, free WiFi and cable TV, as well as a minibar and a private bathroom with a shower. This spacious room features air conditioning, free WiFi and cable TV, as well as a minibar and a private bathroom with a shower. This twin/double room has air conditioning, dining area and minibar. 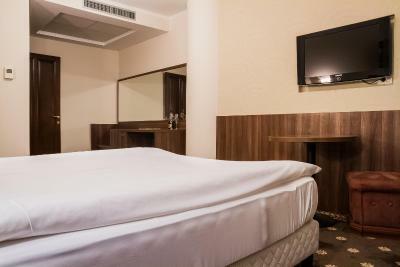 This triple room features a cable TV, minibar and air conditioning. This suite features air conditioning, a minibar and a private bathroom. House rules Hotel Hermes takes special requests - add in the next step! All children under 12 years are charged RON 83.84 per night for extra beds. All further older children or adults are charged RON 97.82 per night for extra beds. 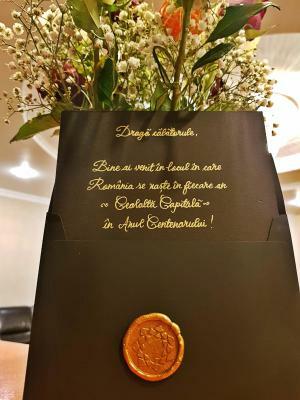 Smell în lobby. Parking. Shower with blocked water evacuation. In the room we had we heard the kids playing on the schoolyard and playing football on the football field. The downstairs door (at the entrance) didn’t open after midnight, because the intercom wasn’t working, nor was the intercom key. Sadly, nobody mentioned this detail and it took about one hour until somebody picked up the phone. Nobody was to be found the second day at the reception for the check out, either. Overall, the room was worth the price for the cleanliness and comfort, but the staff takes the poorest rating. The room, the stuff, the food . No lift. Our room was on the third floor, so we had to carry our not light luggages on stairs, not so easy at almost 50 y.o. Very close to rush street.They dont have lift.Litle noice from children, because behind is school. Good location to close by historical center. HISTORICAL center is nice area for romantic walking. Walk zone is to close the hotel. Excgange and food shops is close. No elevator, you need to pass through a block of flats to reach the reception from the parking place. I had to take my luggage to the 3rd floor without elevator.